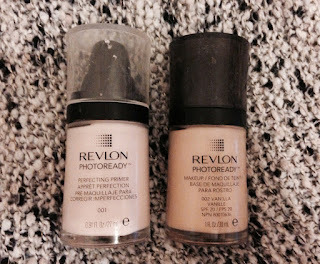 Revlon PhotoReady primer and foundation have been on my makeup to try list for a while now, as soon as I was running out of my old foundation and primer, I knew it was the perfect time to try Revlons'. My bank account probably wasn't too happy with the cost but no pain no gain right?! :) I am really glad I did get them and want to try more of Revlons' face products in the future. It is hard to find a good primer, they are such a difficult product to find the right one to suit you. As I have said quite a few times on my posts, Benefit's Porefessional is my all time favourite and I have yet to find a cheaper one that matches the quality of Benefits'. 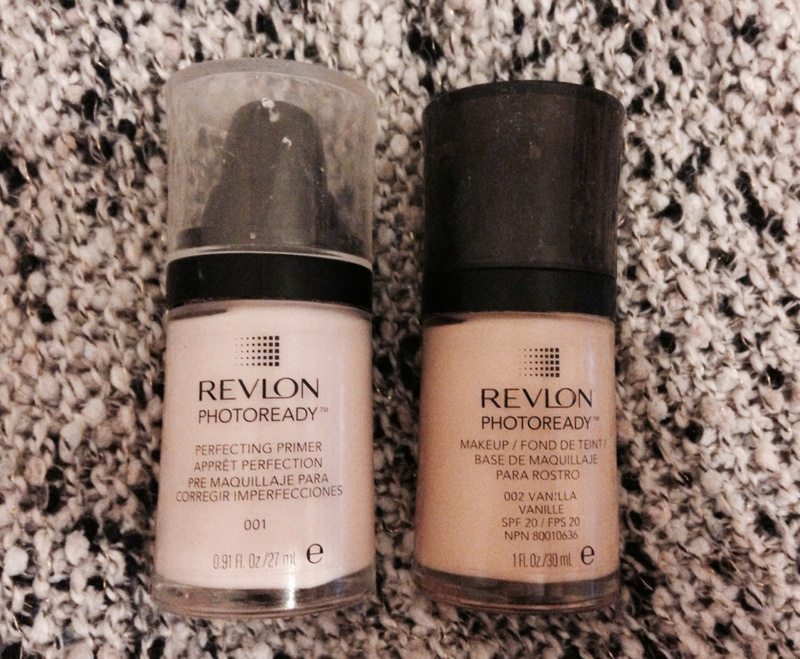 I quite liked Revlon's Primer and it did make my skin feel soft and fresh. However, I felt it didn't have a wow factor, and just wasn't for me, maybe I have too high expectations or am being really fussy. I just think there was something missing in the product. Would I buy it again? Probably not, whilst it was good I just didn't feel it was worth what it costs. I will continue on my hunt for a primer that suits me and my skin. I haven't really liked a foundation in ages, the ones I have used have been ok but nothing special. I absolutely love Revlons' lip products so I thought I would branch out into their face products. It was a little bit more than I usually spend but if it turned out really good then it would be worth the extra money! It is a great foundation and my makeup looks so much better since using it. It isn't too thick which is good because I hate foundations that make me look like I have plastered tons on and looks cakey. It rubs in easily onto my face and doesn't leave splotches or funny patches, which others have done in the past. PhotoReady foundation is good at hiding blemishes and the dark circles underneath my eyes. It is also relatively good at helping cover spots but that's why concealer is a god send. Would I buy it again? The answer is 100% yes! I loved it and is worth every penny.